This morning we woke up early to work out before the soccer camp. We met in our locker room and after contemplating potential workouts we finally settled on Joggers. We ran 12 of them and then ran 12 interval sprints at distances of 25, 50, and 75 yards. After running, we went to the weight room and lifted. Then we went to our favorite iced coffee shop, Dunkin Donuts! We each ordered our usual, Less the medium black iced coffee, Jess iced coffee with a little milk and sweetener. We didn’t have time to go back home to eat breakfast in between working out and camp. Jess was smart and ate breakfast beforehand. 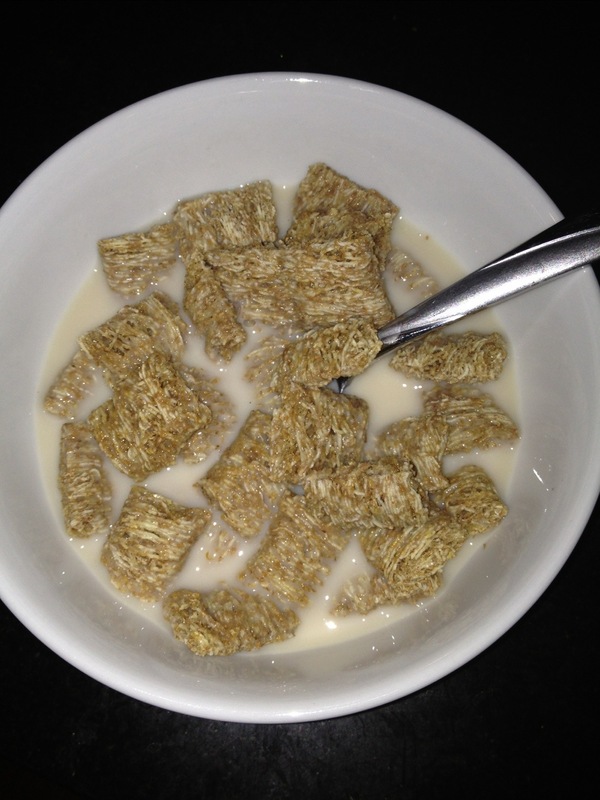 She had vanilla kashi shredded wheat cereal with almond milk. Less did not plan ahead and only had a banana on her which she ate after working out. It’s supposed to be really hot today! Hopefully we don’t get too dehydrated being in the sun all day long!